Dimitrios (ATHENS, Greece) on 8 November 2008 in Transportation. 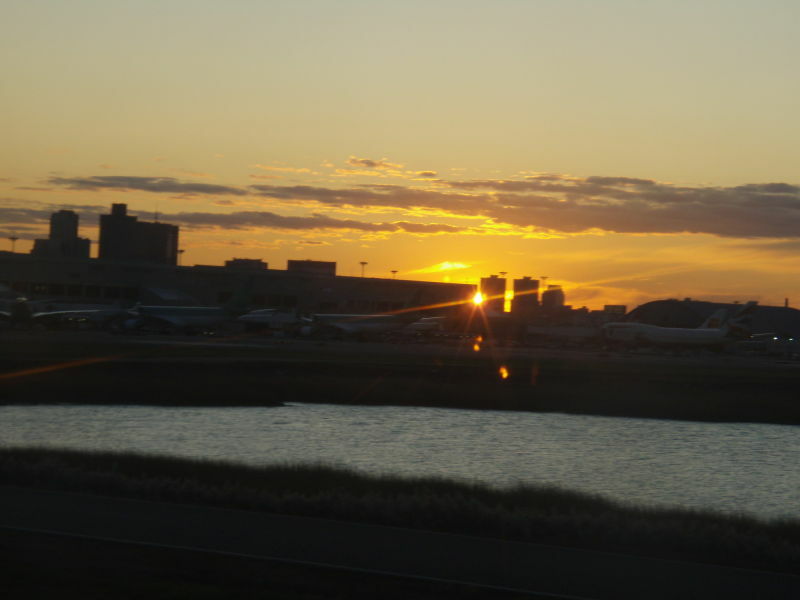 This is why you should have your camera at hand in a flight; you can capture a glimpse of the sunsets hiding in the buildings all around, Boston Int. Airport, late October 2008. Nicely captured Dimitrios, always pays to have the camera handy. @Kylie Greenan: YOUR SMILE is my BEST REWARD as an amature photographer, TAKE CARE SMILING FRIEND. I love the sky and the sun that comes out of the buildings!